Every Sunday we have pancakes. We have fun making special holiday pancake meals. 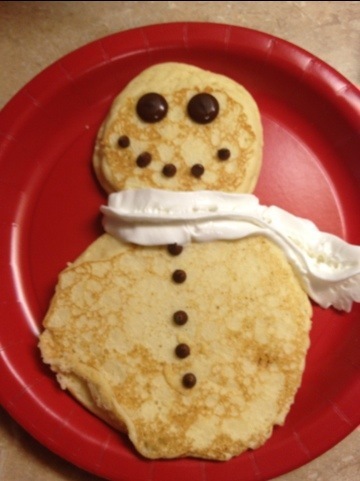 Tonight for dinner we had snowman pancakes. These are sure to be a winter holiday favorite. Large chocolate chips for eyes and min chips for the mouth and his buttons. Whipped creme for a scarf.